Editorial – 10 years of Traumacon!! Sushrut Institute of Medical Sciences,Research Centre & Post-Graduate Instt of Orthopedics,Central Bazar Road,Ramdaspeth,Nagpur,INDIA 400 010. Editorial: 10 years of Traumacon!! 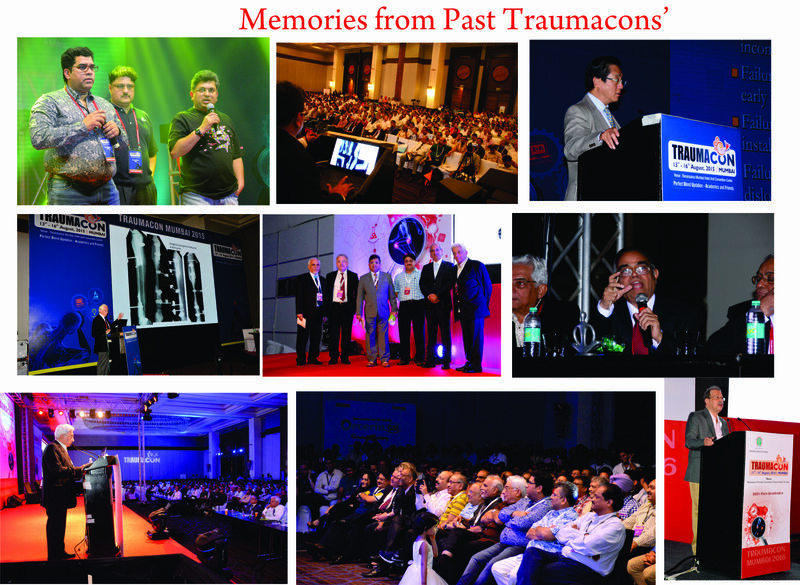 Traumacon is arguably the biggest trauma conference in India. It was started in 2007 and has completed 10 years in 2017. It is a proud moment for the entire Traumacon organisers and Trauma Society of India (TSI). TSI was started 15 years back with Dr DD Tanna as president and Dr Sudhir Babhulkar as Secretary and ably supported by Dr GS Kulkarni and Dr SC Goel. In those days, arthroplasty, arthroscopy and spine were considered as major specialities of Orthopaedics, while trauma was considered as one of basic units of orthopaedics. Following the trend, there were speciality conferences only in arthroscopy, arthroplasty, spine and also in paediatric orthopaedics but no dedicated conference for trauma existed. TSI took on itself to develop the faculty of trauma in India and with that premise in focus a dedicated trauma conference ‘Traumacon’ was conceived. A proper pattern of the conference was established and the first conference was planned in Mumbai. This was a runaway success and support from the entire orthopaedic faculty was tremendous. 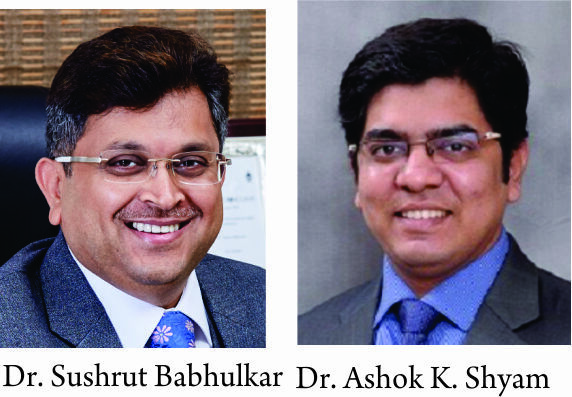 Dr Sushrut Babhulkar, Dr Sunil Kulkarni and Dr Amit Ajgaonkar took responsibility of making Traumacon the event of the year in Trauma Calendar of all orthopaedic surgeons. Traumacon differs a lot from other orthopaedic conferences. At times there is criticism that TSI is a much closed door society and this is in fact true and deliberate. This is done to maintain proper ethics and code of conduct. The core group is involved passionately in all aspects of Traumacon and take decision in terms of scientific program and faculty. At the end of every Traumacon, the preparation for next meeting starts with review of all faculty and comments from delegates are reviewed. The plan for the next year is chalked immediately at the end of one meet after deep scientific and academic deliberations among the core group of TSI. This helps in maintaining the continuity and also improve quality year after year. Principles of trauma surgery are undergoing rapid development along with development of new implants. Rural India is still lacking in good trauma education and surgeons are in need of updating their surgical techniques as well as surgical principles. Needs of these surgeons are specifically addressed in Traumacon and all faculty are passionate to provide practical answers any questions raised by the delegates. This will help in improving the trauma care that the patient receive even in the remotest part of the country. TSI is also conducting the current concepts in trauma symposiums across the country to meet this very aim. TSI has also worked in the area of academics by affiliating with Thieme and writing guidelines on various areas of orthopaedic trauma. These books are given complimentary to all Traumacon delegates and they can refer these books as an when they need. TSI has also affiliated with the best journal of trauma in the world ‘Injury’ and an Indian supplement is released during Traumacon 2017. 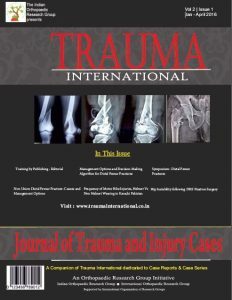 Trauma International is also affiliated to TSI and a special issue of the Journal is released every year at Traumacon. All these activities of TSI and Traumacon have reinvigorated the interest of young orthopaedic surgeons in Trauma and they now look at trauma surgery with more respect. In short TSI has succeeded in promoting trauma as a speciality of Orthopaedics and now many surgeons feel proud in calling themselves trauma surgeons. In future too, TSI and Traumacon will continue its focus on faculty of orthopaedic trauma, academics and newer developments in the area and continue to provide an international platform to all Trauma Surgeons across the country. How to Cite the article: Babhulkar S, Shyam AK. 10 years of Traumacon. Trauma International. Jan – April 2017;3(1):1-2.